Interactive applications have greatly evolved over the past fifteen years, and so has the database management needs for those applications. Today, a new non-relational database type known as ‘NoSQL’ is gaining traction in the enterprise as an alternative model for database management. Despite the fact that early stacks of code were simply experiments, current NoSQL databases are more mature and ready for action. The adoption of NoSQL technology is largely being driven by three co-related trends; cloud computing, large number of users (millions to billions), and big data. NoSQL databases have different database models compared to their RDBMS (Relational Database Management Systems) counterparts. These systems can be divided into four distinct groups. Key/value based: These databases work by matching key with specific values, similar to a map or dictionary. They are efficient, extremely performant, and easily scalable. Column based: These databases work by creating collections of one or more key/value pairs that match a specific record. They are also referred to as extensible record stores, wide columnar stores, or column oriented stores. Document based: Key value pairs are encapsulated in JSON or JSON like documents. The keys within each document have to be unique. Unlike key based, the values are not opaque to the system and can be queried. Graph based: These databases are specialized in efficient management of heavily linked data. Known for running on top of HDFS (Hadoop Distributed File System), Apache HBase is secure, scalable, distributed, secure, and offers high availability. HBase is capable of handling large data tables containing millions of columns and billions of rows while utilizing CPU, memory, and storage resources across multiple servers within a cluster. Hadoop’s reduce/map structure is ideal for complex computational jobs or queries that are farmed out to every node. 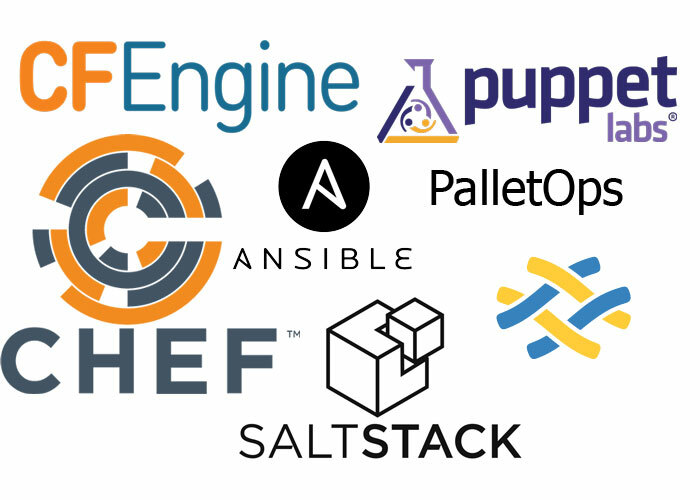 The Apache Cassandra project emerged out of Facebook in 2008 and has now become a fully mature database tool used for most large data stores. It offers high availability, fault-tolerance, and scalability on cloud infrastructure, virtual systems, or hardware. Cassandra’s mechanism provides a hybrid mixture of a key/value store with a column-oriented database. With log-structured updates, column indexing, materialized and denormalized views, and built in caching, Cassandra has become the ideal tool for large scale organizations that need to store data too large to fit on a server. Hypertable is modeled after Google’s Bigtable; it uses a block and key-prefix data compression and has a flattened out table structure. Aside from the fact that data is represented in tables of information in columns and rows; Hypertable has little resemblance to a traditional RDBMS. Notable features include ‘realtime’ scaling, cell versioning, namespaces, and column qualifiers. Hypertable can be used as an alternative to HBase or Accumulo. 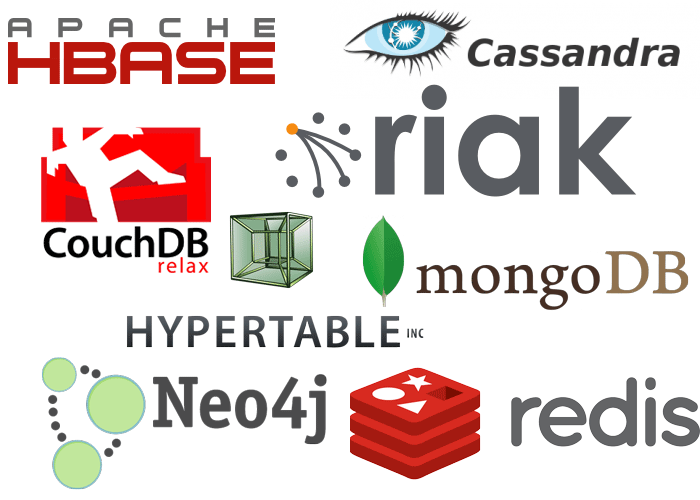 Other NoSQL databases in the Document Store category include; Elasticsearch, Couchbase Server, RethinkDB, RavenDB, MarkLogic Server, NeDB, Terrastore, JasDB, RaptorDB, djondb, EJDB, Amisa Server, densodb, SisoDB, and ThruDB. Unlike other NoSQL databases that store flexible bundles of values and keys; Neo4j stores the relationships between objects, a structured commonly referred to as ‘graph’ by mathematicians. Neo4j includes several algorithms for analyzing and searching the relationships, enabling users to efficiently search based on different relationships. The use ‘graph traversal’ algorithms eliminate the trouble of chasing pointers. Neo4j is ideally used interconnected, rich or complex, graph-style data. Other graph based NoSQL databases include; OrientDB, FlockDB, Infinite Graph, DEX, TITAN, InfoGrid, HyperGraphDB, GraphBase, and Trinity. Redis is an in-memory, networked, key-value data store NoSQL database written in ANSI C. Its key features include: improved performance through in-memory storage, master-slave replication, and dictionary data model key-mapped to values. Redis also provides alpha stage clustering in PaaS and IaaS platforms. It can also be used as a managed service without launching the VM instance of the database. Other key-value based NoSQL databases include: DynamoDB, LevelDB, Aerospike, FoundationDB, Berkeley DB, Oracle NoSQL Database, GenieDB, BangDB, and Scalaris. NoSQL databases are progressively becoming a key component of the database landscape; especially as more organizations begin to realize that operating at scale is better achieved on clusters of standard, commodity servers, and that a schema-less data model is more ideal for the type and variety of data captured and processed today. When optimally used, NoSQL databases can provide several benefits; however, enterprises should ensure they are fully aware of the legitimate issues and limitations associated with NoSQL databases before adopting them. Virtual Machines vs Containers: Are Containers Replacing Virtual Machines?